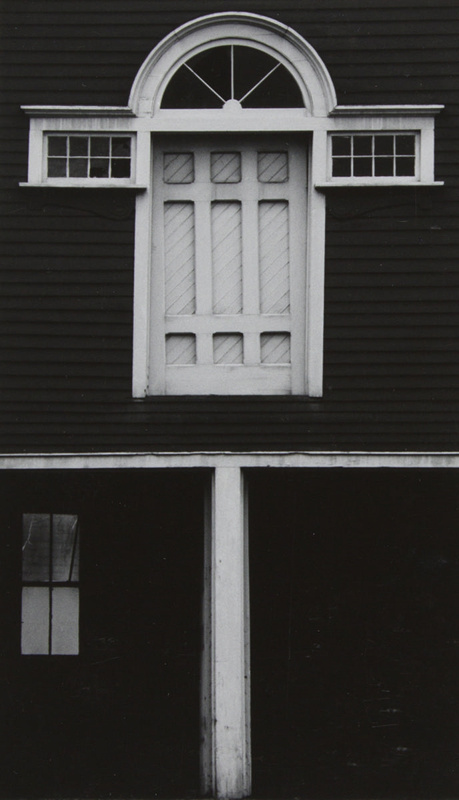 About this objectArchitectural detail of a barn with a boarded window surrounded by a half-circle spoked pediment and two small horizontal windows in its roof. Attached to the roof is a thin column. A window can be seen in the side of the house underneath the roof.